Designed and built to penetrate new markets and locations where footprint is limited but high product capacities and a wide range of selections are required. 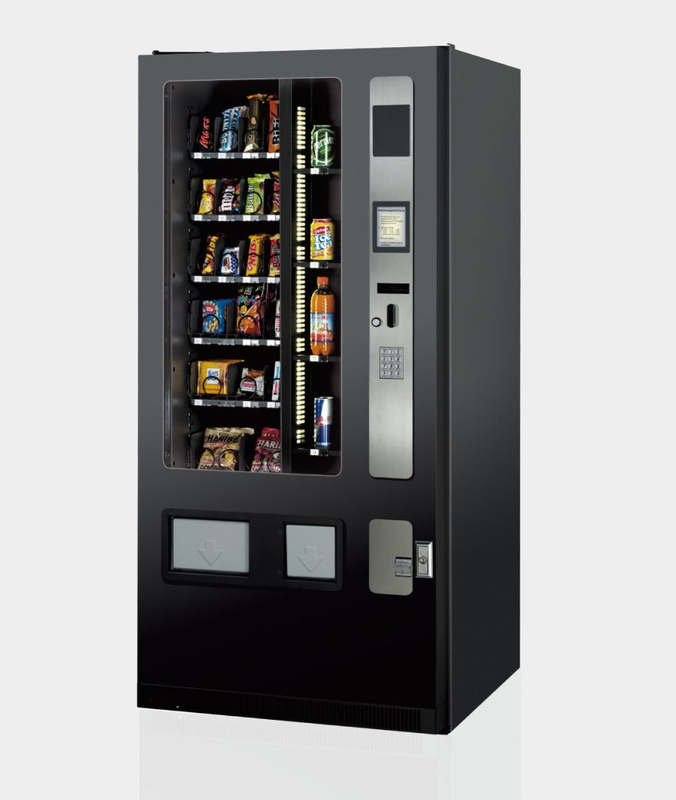 This Combi vendor, with its product spirals and 6 shelves, easily adjustable to product size, supports sales of cold drinks (bottle/can), snacks and confectionery to go. Design and technical specifications have been established in accordance with safety regulations and state-of-the-art technology.